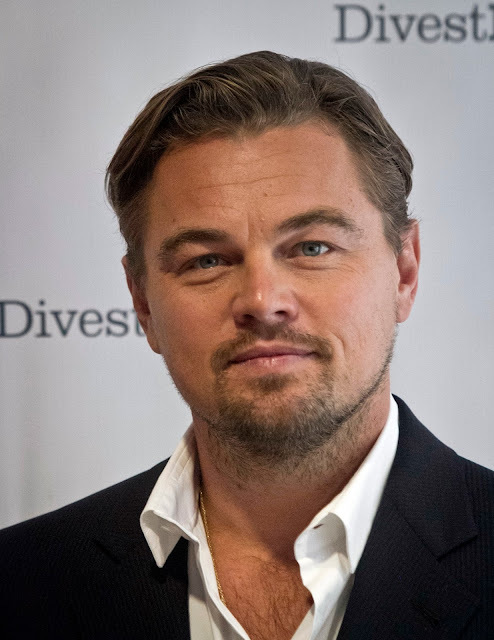 Saw this on CNN Money: Leonardo DiCaprio has joined a growing consortium of investors that is breaking ranks with fossil fuels. When are they going to make this an option for the average Joe with a 401K? 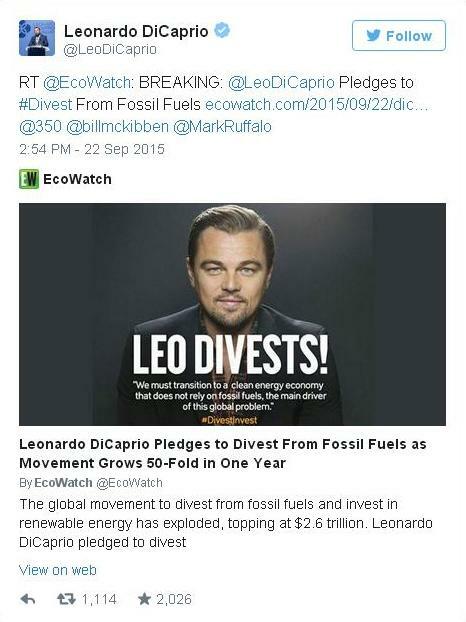 The movie star tweeted that he joined the ranks of Divest Invest. And he's not alone. The divestment movement, according to a report from Arabella Advisors, has grown to 2,040 individuals and 436 institutions from 43 countries representing $2.6 trillion in assets. This is a dramatic increase from the last Arabella report in September 2014, when Divest Invest had 181 institutions and 656 individuals representing $50 billion. The investors pledge to separate their portfolios from any exposure to fossil fuel assets in what they call a "carbon constrained world." The investors are also supposed to increase their stake in clean energy companies. The prime motivator for the movement is to reduce the human impact on climate change and global warming.